What's the connection between traditional American folk music, convincing landowners to allow hunters on their land, and the supervising of game wardens? 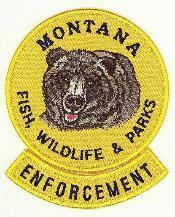 Brian Kahn talks with Mike Korn, retired deputy chief of law enforcement at Montana's Department of Fish, Wildlife and Parks. Korn has a background in folklore and cultural anthropology, and worked in the 1980s as the Director of the Montana Folklife Project. Korn made the leap from cultural conservation to natural conservation when he joined FWP as a coordinator for landowner-sportsmen relations in 1989. "George Bird Grinnell did it, too. The man was a great naturalist but also an ethnographer of the Blackfeet. Cultural and natural conservation walk hand in hand, in my mind." "I feel absolutely privileged to do the kind of work I have. I've been able to do the things I want to do and have a really good time doing them. A person's career isn't a checklist of accomplishments; I think it's a checklist of relationships and things you've accomplished using those relationships." Shalon Hastings, owner of The Hub and Taco del Sol in Helena, MT, learned her work ethic helping her grandparents on their ranch in central Montana. Anthony Page and Jason Larson, Navy SEAL veterans and co-founders of Applied Performance Sciences, talk about touring Montana's high schools, where they introduce John Underwood's "Life of an Athlete" program," promoting a drug and alcohol-free lifestyle. Kurt Alt worked as a wildlife biologist for the Fish, Wildlife and Parks Department of the State of Montana from 1975 till his retirement in 2010. As Wildlife Manager for Southwest Montana, Alt supervised work in the Gallatin and Madison drainages of southwest Montana, collecting and analyzing data on moose, bighorn sheep, mountain goats, elk, deer, mountain lions, bears, antelope, and many other native species of the area. Visualize a small business that occupies one room, serves tea, coffee, and pastries and sells books and an array of magazines from Time to Gentleman's Quarterly. There are chairs and couches for reading and conversation and in the small yard outside, rich in tropical plants are tables and chairs, a bench, and even a hammock. A mixed color, curly hair Terrier, Toby, wags a greeting from the open door. Walking by on the sidewalk, you get the feeling that it would be a nice place to relax and visit for ten minutes, or an hour. Kids Teaching Adults How To Read And Write: Three Cuban "Brigadistas"
In 1961, Fidel Castro's new Cuban government organized a massive literacy campaign, recruiting 100,000 teenagers to move to the rural areas and teach illiterate farmers how to read and write.